Tourist arrivals in Sri Lanka grew 2.2 percent in January compared to the same period last year with the arrival of 244,239 tourists, shows statistics from the Sri Lanka Tourism Development Authority. 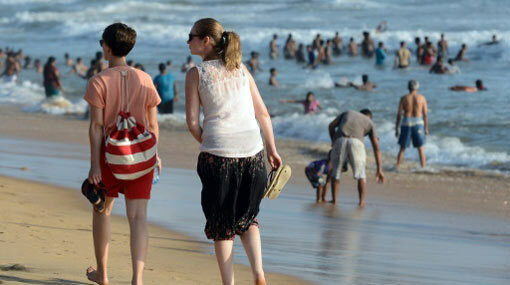 The leading markets for Sri Lanka tourism were India, China and Britain, reports foreign media. Chinese arrivals last month grew 8.8 percent compared to January 2018, with the arrival of 26,414 tourists. Sri Lankan Tourism Minister John Amaratunga said here recently that the industry is aiming to attract at least 300,000 Chinese tourists this year after over 260,000 Chinese tourists visited Sri Lanka last year. He said China is one of the most important markets for Sri Lankan tourism and new promotional campaigns will be launched in major Chinese cities this year to boost tourist arrivals. This year, the Sri Lankan government has set a target to attract 3 million tourists with an earning of 5 billion U.S. dollars.